This package is specifically designed for the cellphones we list here, if your cellphone is not in the list , then it's not for you. 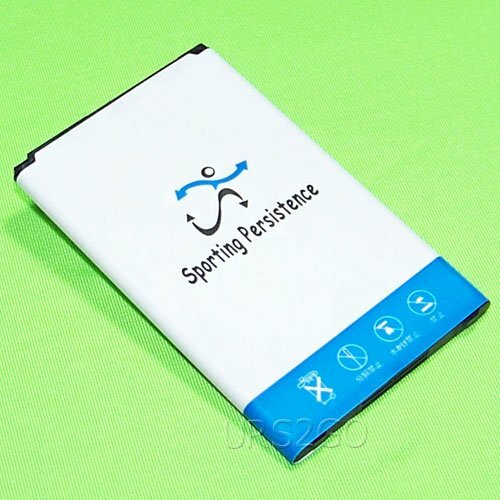 * Brand: Sporting Persistence . * High quality Li-Ion battery. * Battery Type: Lithium Ion. * Battery Capacity: 2400mAh . * The best spare battery for your phone. * Best Replacement for the original battery with comparable standby and talk time . * Our battery is sent out with little or no power, so please charge it for about 6 - 12 hours before using. * Keep an extra battery on hand for extend standby and talk times. * Each battery comes with a special chip to protect your smart phone from over-heating, short-circuit, over charging or over discharging. * Integrated microchip prevents overcharging and lengthens battery life. * When using the battery, please notice that use up all the power of battery for the first three times before charging, and then take a full charge, thus the battery can be reached the optimum effect of using.Please remember that its full performance and longevity is only achieved after 3 to 5 complete charge and discharge cycles. * Accessory only, Cell phone not included. View More In Replacement Batteries. If you have any questions about this product by Sporting Persistence, contact us by completing and submitting the form below. If you are looking for a specif part number, please include it with your message.